Facts about hyperopia. 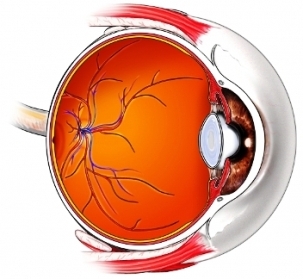 National Eye Institute website. Available at: http://www.nei.nih.gov/health/errors/hyperopia.asp. Updated July 2016. Accessed December 27, 2018. Farsightedness: hyperopia treatment. American Academy of Ophthalmology website. Available at: http://www.geteyesmart.org/eyesmart/diseases/hyperopia-treatment.cfm. Updated May 10, 2014. Accessed December 27, 2018. Hyperopia (farsightedness). American Optometric Association website. Available at: http://www.aoa.org/patients-and-public/eye-and-vision-problems/glossary-of-eye-and-vision-conditions/hyperopia. Accessed December 27, 2018. Hyperopia (farsightedness). University of Michigan Kellogg Eye Center website. Available at: http://www.kellogg.umich.edu/patientcare/conditions/hyperopia.html. Accessed December 27, 2018.